These products are 100% Compostable and won't cost the earth! Including our TAS-TY Tubs, Spoons, Straws, Coffee Cups and much more! Ready for High Season? We can help. Are you ready for Summer High Season? We are specialist suppliers to the Ice Cream industry in the UK. From Ingredients, Machines, Fridges, Freezers to POS and Take Away Packaging, you will find everything you need in one place on our website. 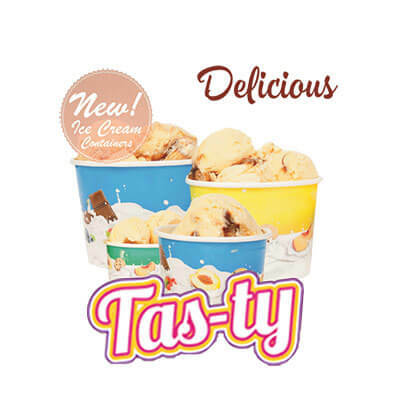 Our range of takeaway ice cream tubs includes the Tas-ty Wax Paper Ice Cream Tubs. These tubs are bright and fun, making them ideal for takeaways, parties and more. 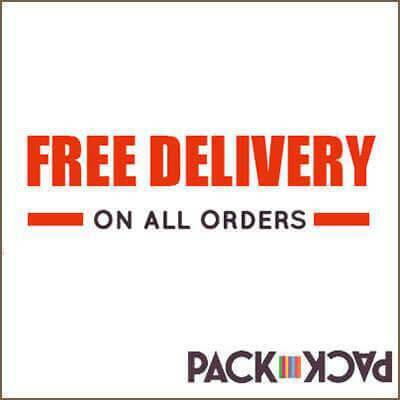 FREE delivery on all our products. Our Napoli Pans Come in a range of different sizes! Hugely Popular with Ice Cream manufactures, caterers, kitchens, restaurants and take away food outlets alike. Personalised and printed takeaway coffee cups are now available in smaller quantities starting from as little at 6000 per print run. 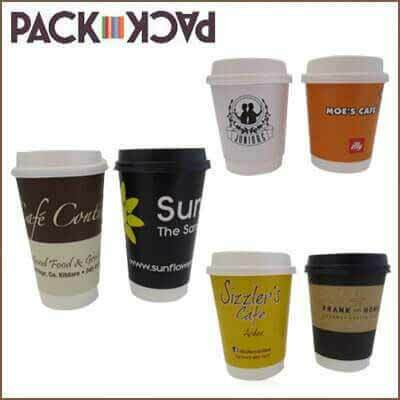 We can supply these for 8oz, 12oz and 16oz cups in quantities to fit your needs and budget. Delivery is between 3-4 weeks. The price shown for our products is the price you pay. All prices include VAT and are DELIVERED FREE in the UK (excluding some highlands). Orders over £30 are delivered next working day (excluding refrigeration items which take a little longer to deliver). 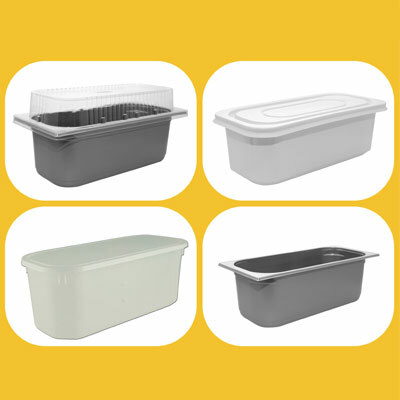 Whatever your food preparation and storage needs, our range of food-grade containers are perfect for use in the kitchen and back-up areas and are suitable for use in the fridge or freezer. From industry standard basic ice-cream tubs to tamper evident containers, our range is available in a choice of sizes to suit your needs. Large and Small qty pack sizes are available. 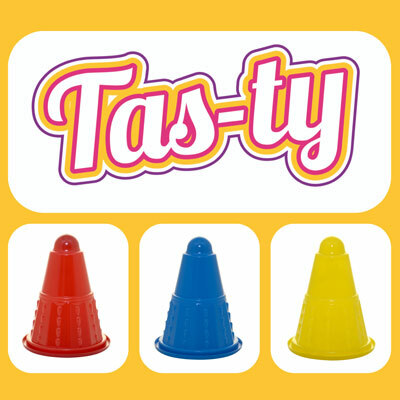 Our Ice cream screwball cups designed to hold a round bubble gum in the base to be topped up with soft or hard ice cream. Ideal for manufacturers and retailers. Perfect for children's parties! 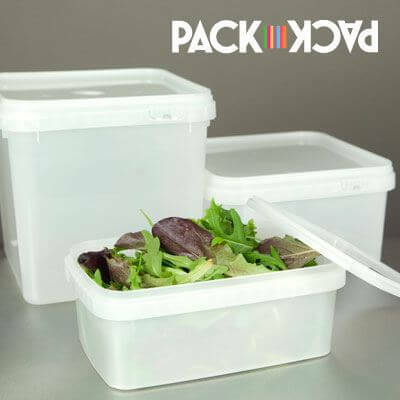 Pack Pack are experienced specialist suppliers to the take away, delicatessen and ice cream industries in the UK, selling everything needed for food storage and supply at competitive prices and in quantities to suit every supplier from the smallest to large country-wide chains. We offer a wide range of ice cream supplies, takeaway food containers and disposable items making catering for every occasion at any time of year a breeze. Whether you want takeaway supplies for a one-off event, or a large, frequent deliveries for a busy fast food outlet, we can custom design an order that will suit your needs and pocket, from our extensive range. Our takeaway supplies range is the result of years of experience in the trade and research to see what products are the most important to our clients' businesses, and then sourcing them in quantities and prices that make us the best and most competitive one-stop shop online. As a result of this, we offer many of our most popular takeaway supplies, such as insulated coffee cups, fast food meal containers and ice cream cups, in a variety of sizes, so that you should be able to find the perfect one for your business or event needs. We also, where possible, offer our takeaway supplies in differing quantities to appeal to all sizes of businesses. If, when having looked at our extensive range, you cannot see exactly what you are looking for, please do get in touch as there is every chance with our knowledge and industry contacts that we will be able to source exactly what you are looking for at a price that works for you. As well as our extensive takeaway supplies catalogue, we are also specialist ice cream service suppliers, and can provide everything you need at any time of year, including ingredients, machines, fridges and freezers, right through to point of sale (POS) and take away packaging. With the rise in delicatessens, our range at www.takeawaysupplies.co.uk also includes a range of salad boxes, sandwich and baguette packs in various sizes and clear pots which are excellent for selling the likes of olives. Our insulated heavy duty pots are good for pasta, soup or noodles, and we also offer specialist takeaway supplies for dessert including screwballs and trifles. We are confident that our takeaway supplies stock and service is second to none, so get in touch to see how we can help you and your business.